Ever since the MS-20 first went on sale way back in 1978, this monophonic synthesizer has enjoyed unbroken popularity for its thick and solid sound, aggressive analog filters, and inexhaustible potential for creative patching – as well as for its distinctive design. 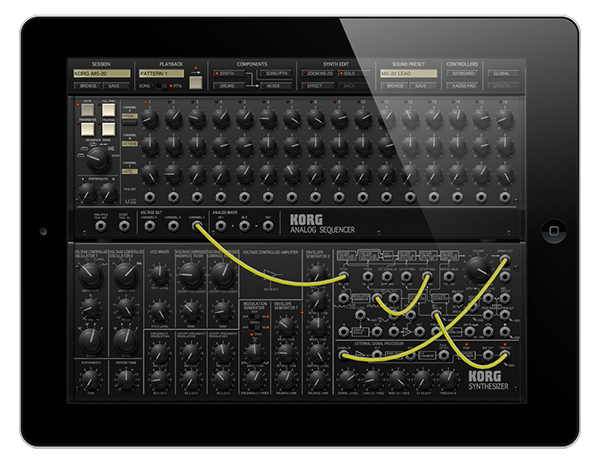 Using the same proprietary CMT (Component Modeling Technology) that Korg used to create their Legacy Collection software, the KORG iMS-20 completely replicates every aspect of the legendary original MS-20; the 2 Voltage Controlled Oscillators, Voltage Controlled Filters, 2 dynamic Envelope Generators and a Voltage Controlled Amplifier. Just as on the original MS-20, the iMS-20 features high-pass/low- pass self-oscillating filters with the unique distortion elements that made these filters so popular. 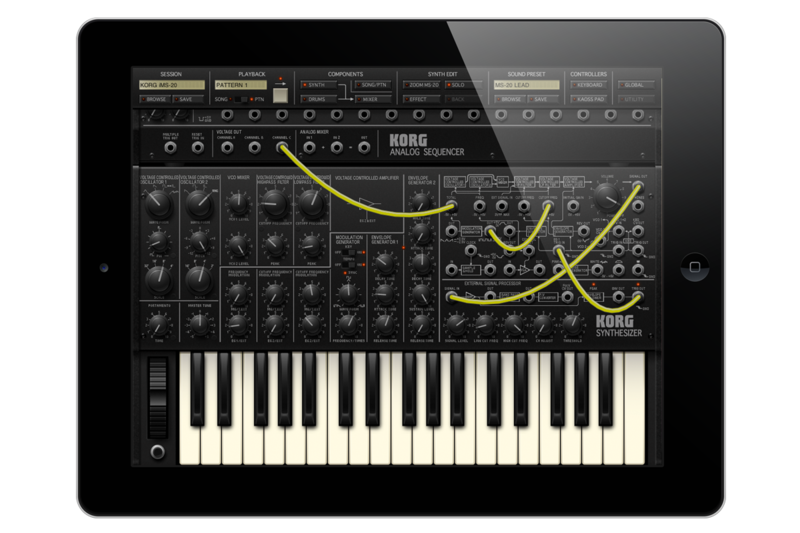 In addition to the MS-20, the Korg SQ-10 was also introduced in the same year. 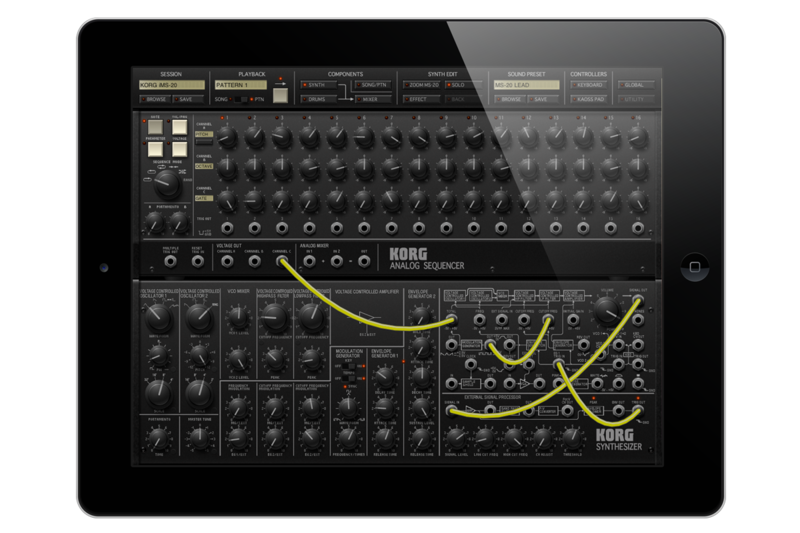 Featuring 12 steps, this analog sequencer could produce either a series of pitches, or create a cyclic pattern of control changes to the volume, panning, filter brightness, or other synthesizer parameters. 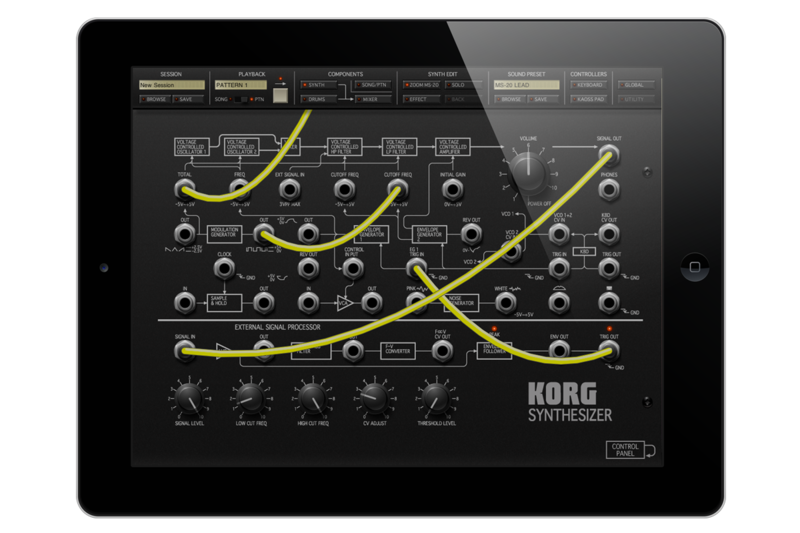 The KORG iMS-20 provides a 16-step analog sequencer that has been designed based on this SQ-10. 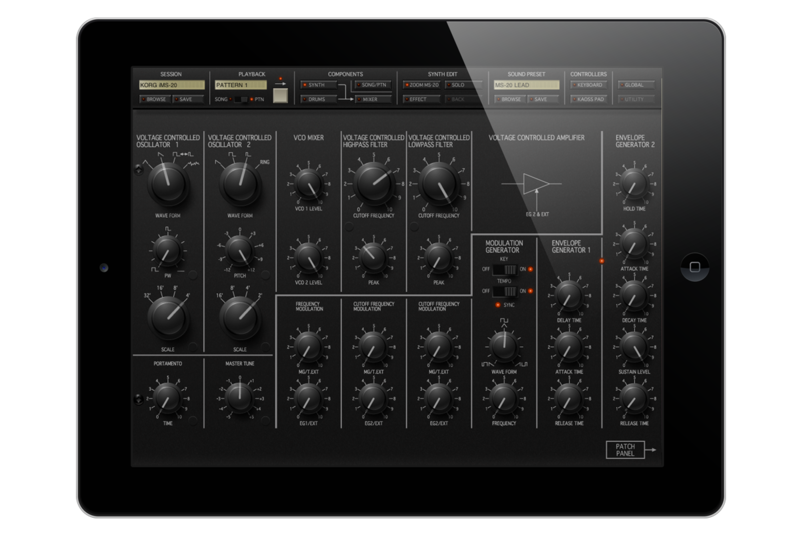 It features new improvements not found on the original analog sequencer, such as easy control of notes, volume and pan, or synth/effect parameters, plus all of the SQ- 10&apos;s classic and unique functionality such as three-channels of voltage control and six types of sequence mode. The infinite possibilities that arose from patching the SQ-10 and MS-20 together are once again available for today&apos;s creative artists. Using the iMS-20’s multi-touch display allows access to new features and new phrases! KORG iMS-20 was designed as a music production tool with conceptual input from Nobuyoshi “sanodg” Sano of DETUNE ltd., renowned as the producer of "KORG DS-10 for Nintendo DS." In addition to the MS-20 synthesizer and SQ-10 sequencer mentioned above, the iMS-20 completes your sound design and synthesizer studio by introducing a six-part drum machine. By simply pressing the step buttons, basic or intricate drum parts can be quickly created, with each hit having independent control of pitch and gate time! Create up to sixteen patterns and arrange them to create a song. 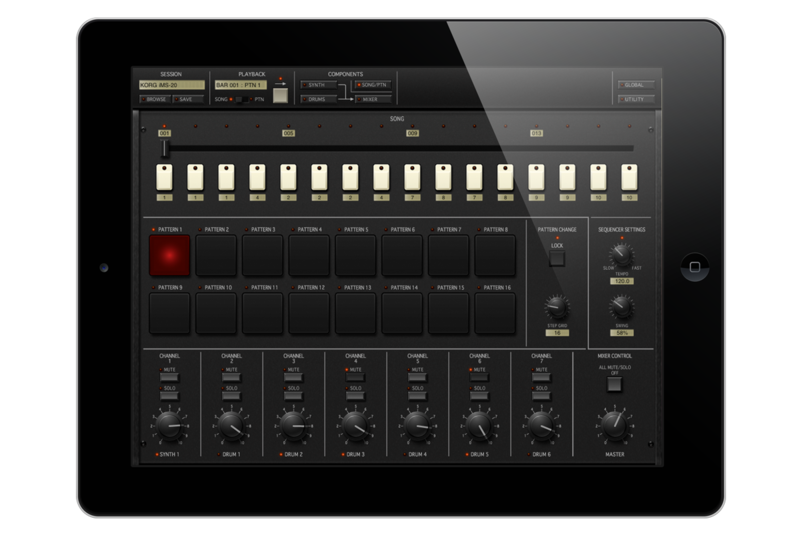 Impressively, the sounds of this drum machine are also created using a built-in MS-20. Using the seven-channel mixer – complete with VU metering – it can add in one of the 14 Effects; anything from BPM sync’d delay to an exotic grain-shifter or decimator. Template patterns are provided for a variety of musical styles. Put it all together and the KORG iMS-20 offers everything you need to create high-quality music productions. 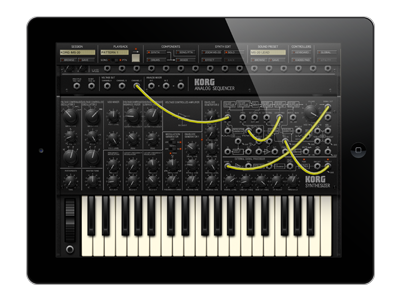 In addition to being a complete electronic music production studio, the KORG iMS-20 can be a dynamic performance instrument as well. The iMS-20 is equipped with dual Kaoss pad control surfaces – one for musical playing and one for changing parameter values! 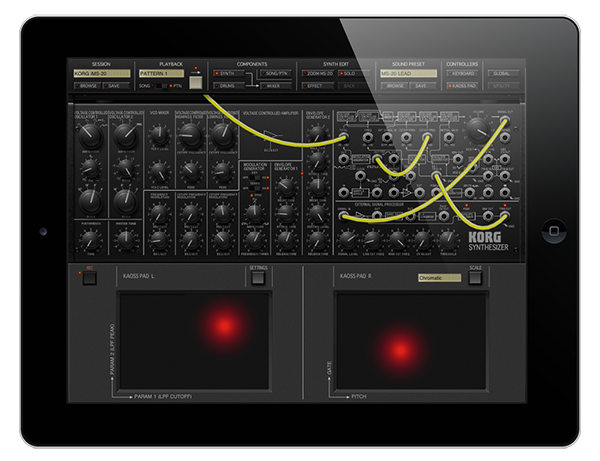 Just as on Korg’s Kaoss Series, you can create music by simply stroking the pad and moving your fingers over the Kaoss Pad surface. 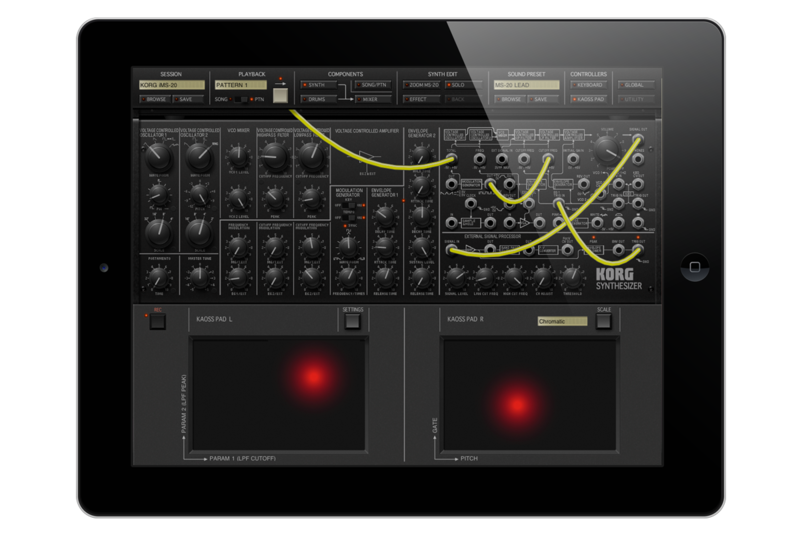 The Kaoss controllers make it easy to generate cool music. There is no need for you to know music theory or instrumental technique; the phrases you imagine (or new phrases you cannot imagine!) will flow naturally from your fingertips. SoundCloud (http://soundcloud.com) is a great way to share your musical enjoyment with other people; you can use it to publish your own songs, or to collaborate on songs with friends and people anywhere in the world. Fun, simple, and easy to use, SoundCloud has become a standard for music professionals to distribute and share their creations online. With the cooperation of SoundCloud Ltd., audio data exported by KORG iMS-20 and its song data can now be quickly published and shared anywhere on the web. For example, you can post your creation on Facebook; let your friends listen and invite them to make their own music. You can access the SoundCloud server from within the iMS-20, making it easy to publish and share data. ∗You will need to register for a SoundCloud account in order to publish data on SoundCloud. A variety of choices are available, ranging from a free account that allows up to two hours of data to be uploaded to a paid account that allows unlimited time. A Japanese company, DETUNE ltd. was established by three musicians – the core members of KORG DS-10 for Nintendo DS development team – Michio Okamiya, Nobuyoshi Sano and Yasunori Mitsuda (Procyon Studio). Together, they are providing music and music creation tools for a new way of music communications. 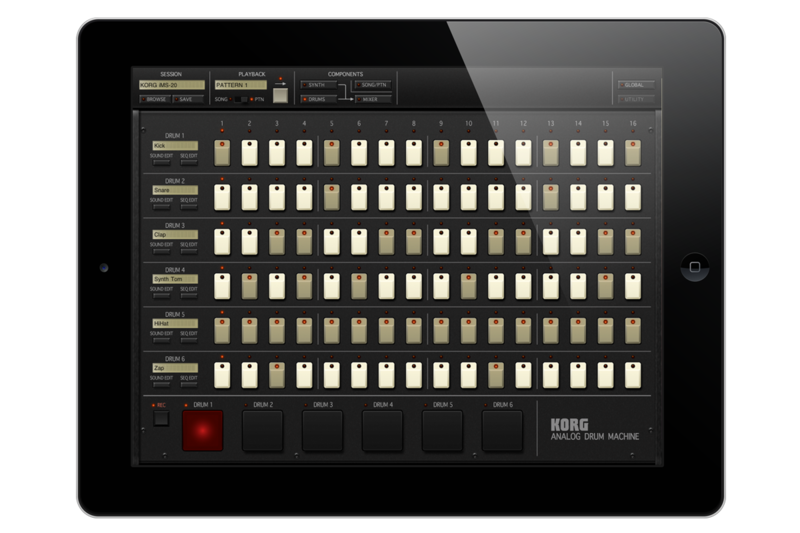 They are also planning to release KORG M01, a music workstation for Nintendo DS shortly. SoundCloud, founded in 2008 by Alexander Ljung and Eric Wahlforss, enables music professionals and other creators to collaborate, publish and share their sounds on the web, in a simple, accessible and feature-rich way. SoundCloud allows music makers to upload large audio files; share them publicly and privately; embed tracks across websites and blogs; receive detailed analytics, plus feedback from the community directly onto their SoundCloud player. 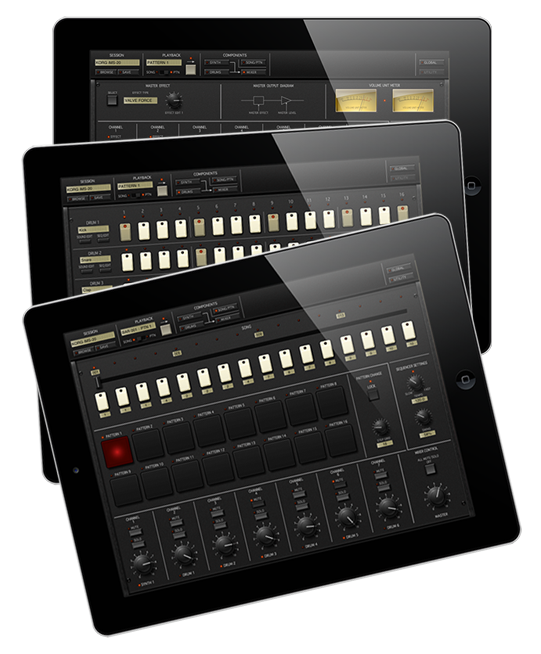 Register for the KORG app Newsletter so that you won&apos;t miss the latest news and information about KORG app. 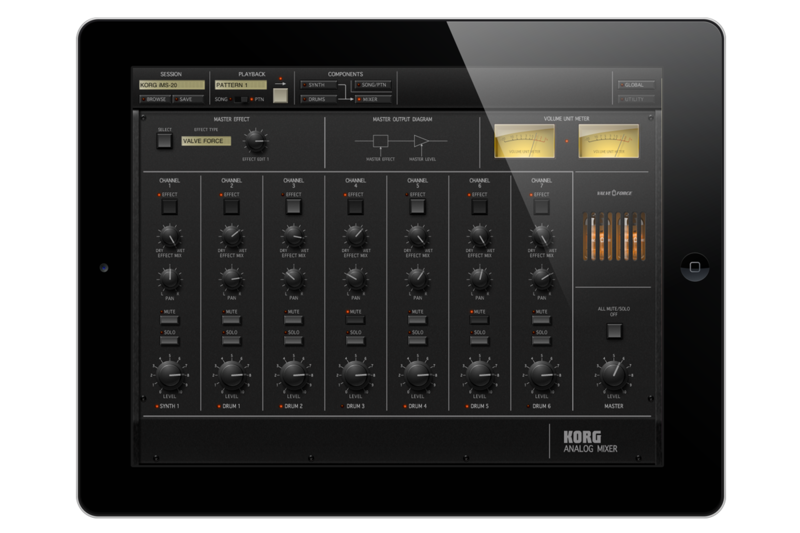 iMS-20 for iPad is available for download purchase from the Apple App Store.